About 3 weeks ago, we notified you that our founder Syed Balkhi will be attending New Media Expo (formerly known as BlogWorld Expo). The conference is scheduled for January 6 – 8, 2013 in Las Vegas, Nevada. It is the largest conference and tradeshow for bloggers and podcasters. We know that attending conferences can be expensive due to high registration costs. This is why, we are giving away 4 FREE passes to our users. Each user will get a 3 Day Blogger / Podcaster pass which includes all NMX conference sessions, all keynotes, exhibit hall access, and official parties and networking event access. Second, you need to reply to this post with a link to your tweet and explain why you deserve to win the pass. The winners will be selected based on the quality of their reply which will be reviewed by our team. BlogWorld is a life changing event where you learn from leading industry experts, and we want to give the pass to someone who really wants it. Please only enter if you plan to go. These passes CANNOT be resold. We are only giving away the passes, so you are still responsible for paying the travel costs (loding, airfare etc). We might invite you to dinner in Las Vegas but other than that, you’re on your own for the expenses. The deadline for entering is Monday, October 22th, 2012. The winners will be announced the same day. If it is not feasible for you to attend in person, then we highly recommend that you get the Virtual Ticket which will get you access to all session recordings plus bonuses. To double your chances, you can also apply for NMX Scholarship which includes a 3 day blogger pass along with travel and lodging costs. Find out more details about NMX University here. We always love seeing our users there, so leave your best comments. I am a part of what we call The Loyal and Royal. I am a WordPress, blogging, content marketing evangelist. I do everything in my power to educate and stimulate the people in the organizations I work with and every new BWE is a chance for me to bring back fresh knowledge. Besides, who doesn’t love Vegas? do a lot of networking with fellow podcasters and also to make connections with people who have inspired me. I also think it’s a great way keep up with what’s going on in the blogging world. I’ve been podcasting for an absolute age now, and last year I was invited over to speak. But funds prevented that little excursion, because we were saving up for a wedding. However this year I am jam-packed with excitement about hopefully attending the rebranded Expo because I’m launching a totally new concept here in Europe that revolves around a daily tech talk radio show. The best way to learn is to listen, and I want to get over there and devour as many presentations as possible to take Talknology from concept to big deal. I’ve already learned swathes of great stuff from WPBeginner.com and now I just need the smarts to broadcast with passion and personality from the folks at NMX. I need to be at NMX this year. I have been in digital marketing and advertising for a few years now, and still can’t get enough of it. New technology, media, social media, SEO, the works..
Learning WordPress was a life changing experience for me, as I now have the means to bring my entreprenuerial spirit to life. I’ve created many websites, and continue to test new ideas, but this opportunity would allow me to learn from the best. I would love to attend this event, as I plan on soaking up all the information to help build my businesses. Ultimately, I want to pass on all the information learned just as I have learned from WPbeginner. There are so many people that have great ideas that need a medium to get those ideas out. With new media, there’s a million and one ways to make that happen if given the learning opportunity. Going to Vegas for NMX would be a great opportunity to do a lot of networking for my company and also to make personal connections and continue to learn more about what is going on in the blogging world. I deserve to go to NMX because I work hard and also teach people from WordPress to blogging whether it be on my site or at the WordCamps I speak at. It is my passion and I am dedicated to the WordPress Community. I know quite a few people going to NMX and I always have wanted to go to Blog World, but get to busy. This is a great event to connect and I love to meet people that I read their blogs and even talk to on the social networking sites. I also know despite being in the blog business for more than a decade, I WILL be schooled and for me, I love to learn. It works hand in hand with my passion for teaching. Aside from the learning, it would give me a great excuse to go on a vacation and even visit my grandmother, who lives in Las Vegas. 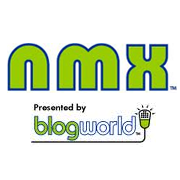 I would love the opportunity to attend NMX 2013 because it would give me the insight necessary to establish my new personal blog and WordPress design business. My goal is to make enough money as a designer to send my daughter to a good school in a few years. I know blogging takes time to build momentum, so I want to put in the time upfront and grow my business to a sustainable level. Attending this event would be a step in the right direction. I’m a Las Vegas local and this year’s NMX will be hosted in my back yard. All I need is a chance to register. I would like to go because I have never been to Blogworld. From what I have heard there is alot I can learn there to help my blogging, especially since I am a beginner. Ok seriously, I know the importance of networking. I would like the opportunity to get the word out about my brand at NMX. Below is my tweet. I would like to participate because wordpress has changed my life! To improve and extend the existing knowledge and to meet new friends and colleagues who love wordpress. And then .. I’m the first that reply this!